Today – January 18, 2019 marks the last day in office for the American Judge Theodor Meron 88, President of the International Residual Mechanism for Criminal Tribunals. The mechanism is a replacement system for the International Criminal Tribunal for Rwanda (ICTR) which was closed down so that Genocide cases are transferred to Rwanda. Meron was first appointed as President of the Mechanism by the United Nations Secretary- General on 1 March 2012. He was appointed for second term as President on 1 March 2016 and, most recently, was appointed for a third term on 1 July 2018 through January 2019. With a very heavy profile, the Author of 100 articles, Emeritus professor from renowned universities and board member of international law firms, this expert in international justice won several accolades back home. Indeed his track record earned him several awards through his professional career, but his latest performance brought the public to wonder what sanction he would get if he wanted another job and has to present a recommendation from Rwanda. Meron has either freed, reduced sentences or acquitted more than a dozen people – all of among those who planned and executed the 1994 Genocide against Tutsi. Latest to be released by Meron is Col Simba Aloys. 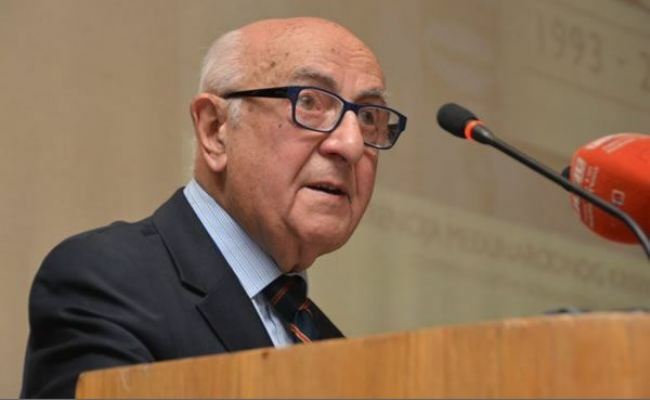 “In his last days as President of the International Residual Mechanism for Criminal Tribunals, Judge Theodor Meron cemented his legacy of undermining international criminal justice by releasing Aloys Simba in the dark of night, eight years before the end of his sentence,” reads a statement from government of Rwanda – January 17. Meron granted early release to Col Simba, the man who was born in Nyamagabe, Southern Province where he put his focus during the Genocide. Government statement mentions the role of Simba in the slaughter of 40,000 Tutsi at Murambi technical school and many more at Kaduha Parish, his birth place. Simba was sentenced to 25 years by the International Criminal Tribunal for Rwanda (ICTR) based in Arusha and Rwanda maintains that he should have served the entire sentence. The concern in Rwanda is that while granting early release to Genocide convicts, Meron does not consider the gravity of the crime, does not bother to consult the victims who are supposed to reintegrate them. Another key component Meron is believed to ignore, is the attitude of the convict applying for the early release. The Genocide survivors also have the same concern. “Let agree that early release helps the convicts, but we had agreed that before early release is decided, Rwanda should be consulted to see if the early release is fair,” said Ahishakiye Naphtal, the executive secretary of Ibuka, the umbrella of Genocide survivors association. Rwanda fears that, early release is at some point impunity, and will add on trauma issue which is still a burden among the Genocide survivors. Apparently, Meron did not pay attention to these concerns from Rwanda. For example, Rwanda said that Meron released Simba in top secrecy, such that the rest of the mechanism was not even aware. “Judge Meron has yet to make his order public, and he shielded it for days from the rest of the Mechanism. Rwanda was also kept in the dark. Such unchecked, underhanded unilateralism has no place in the administration of international law,” Minister Jonhston Busingye said in a statement. With these practices, Meron could be spoiling a name he has strongly built in the last 88 years. A little bit more caution would have allowed him to retire with dignity.